After several attempts of doing everything myself, I have arrived at the conclusion that everyone should stick to their guns and do what they are good at and enjoy doing. I like designing bags more than anything else in the world and I have honed my skills with every passing year. Tõnu Runnel is one of the best web designers in Estonia which is why I did not doubt for a second when I trusted the design of my new homepage in his capable hands. In return I rescued Tõnu from a tedious shopping trip and exchanged his worn-out bag for a new one, all the while saving several brain cells of my own and getting a new handsome virtual home for my brand which welcomes both the invited and uninvited guests! The phenomenon of how time slows down and your worries seem to diminish by half when you drive into Tartu is familiar to many former inhabitants of the university town. The same applies to the joint office of Fraktal and Edicy in the centre of Tartu where Tõnu spends most of his workdays – the atmosphere in there soothes and the hustle and bustle of Tallinn seems to be ten times further away than the geographic facts seem to suggest. Everything overwhelming seems doable when you tackle one thing at a time. For years, their office has been my safe haven when I need to get myself into work mode. The motivational atmosphere helps to get everything done in a pleasant way without the blood, sweat and tears. In addition to the spirit of Tartu, Tõnu himself adds the cosy atmosphere with his ability to organise his time with such proficiency, always keep the corners of his mouth up and the stress levels down whilst bearing great responsibility. 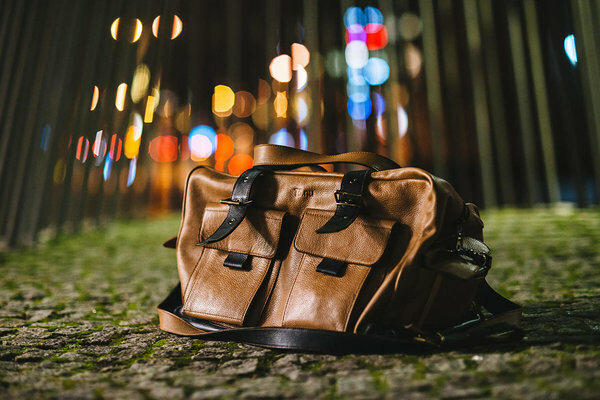 Everyone who knows Tõnu is familiar with his straightforward self-confidence and expressiveness which is why we did not hold long discussions about the design of the bag. “Stella, that design of yours – this is EXACTLY the kind of bag I have always needed! Please make me one of these!“Tõnu knew what he wanted because his lifestyle, which includes weekly train and bus journeys between Tallinn and Tartu, requires a bag which could hold a few days’ worth of clothes and all of his million and one electronic gadgets for listening to music, designing, reading, sharing and providing internet, taking photos, charging batteries and what not. I am especially glad that the bag which was initially designed for travelling has not been discarded even when the owner is carrying only the bare essentials or riding a bike. 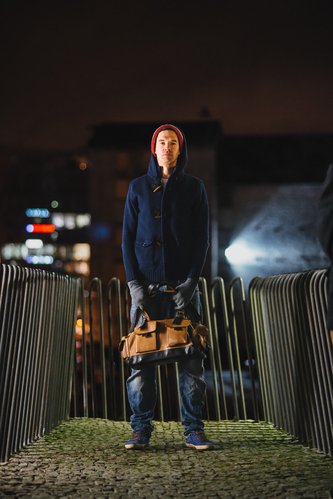 It is an honour to be the designer of Tõnu’s favourite bag but it is an even greater honour to open my new homepage! The magnificent photo shoot in the Rotermann quarter was made by the photographer Tõnu Tunnel. Yes, you read correctly – the name of my web designer is Tõnu Runnel and the photographer is Tõnu Tunnel, it is not a typo. But that’s a whole new story, so stay tuned!